Mixed-media and digital and imaging artist. I use a combination of traditional and digital art approaches to design and produce art. With a versatile supply of art mediums, tools and art vocabulary, my main objective is to bring to life creative ideas and artwork through design and visual means. Abstract art with Islamic calligraphy. A driven and prolific painter in oil, Tan likes to paint all night to capture the fancies and the fantasies that fill her mind. Original oil and pastel paintings, original works and commissions. Contemporary impressionism with a touch of realism. Girija Bhalerao is a visual artist (painter and graphic designer) and the owner of Art In Me Studio in Chantilly, Virginia. 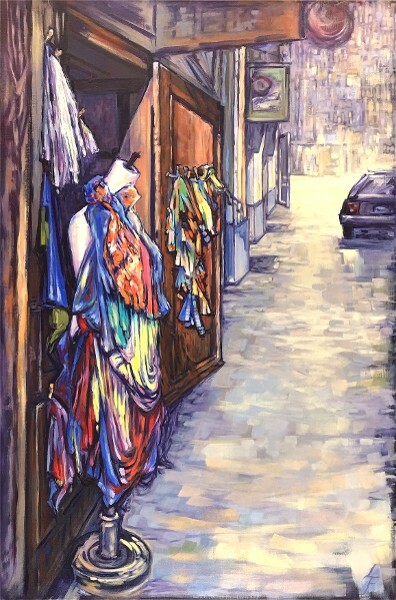 "Restfulness" Dottie Blair creates traditional oriental art drawn from life. 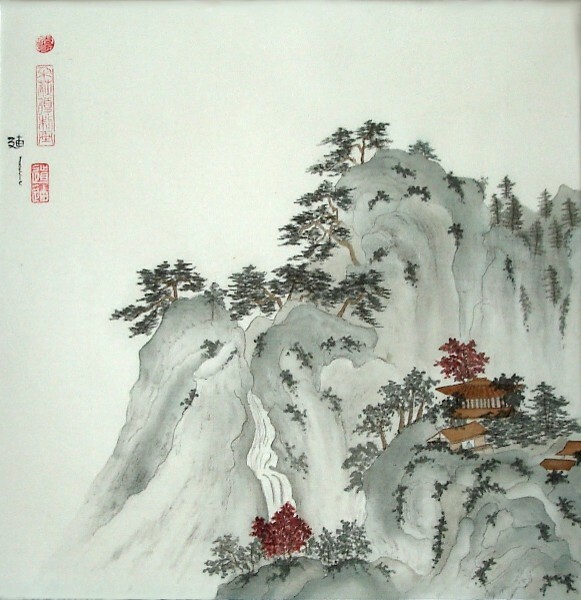 Her paintings, often based on photos and the works of old Chinese Master, capture her passion for Chinese temples and palaces. 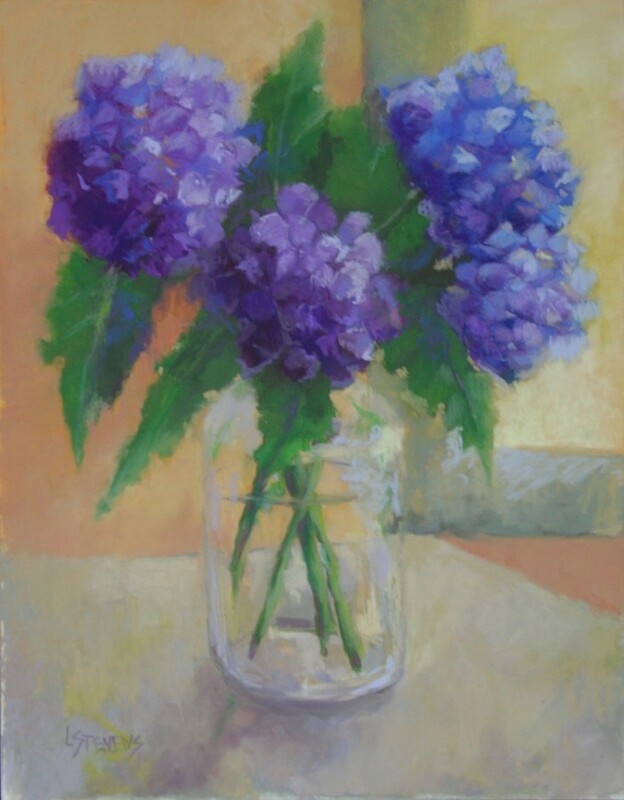 Anne Marshall Block primarily paint in oils and enjoy depicting landscapes and animals. The tranquility and aesthetic beauty of Loudoun County, Arizona, Wyoming, California, Italy and Africa are some of the scenes and subjects in her collection. 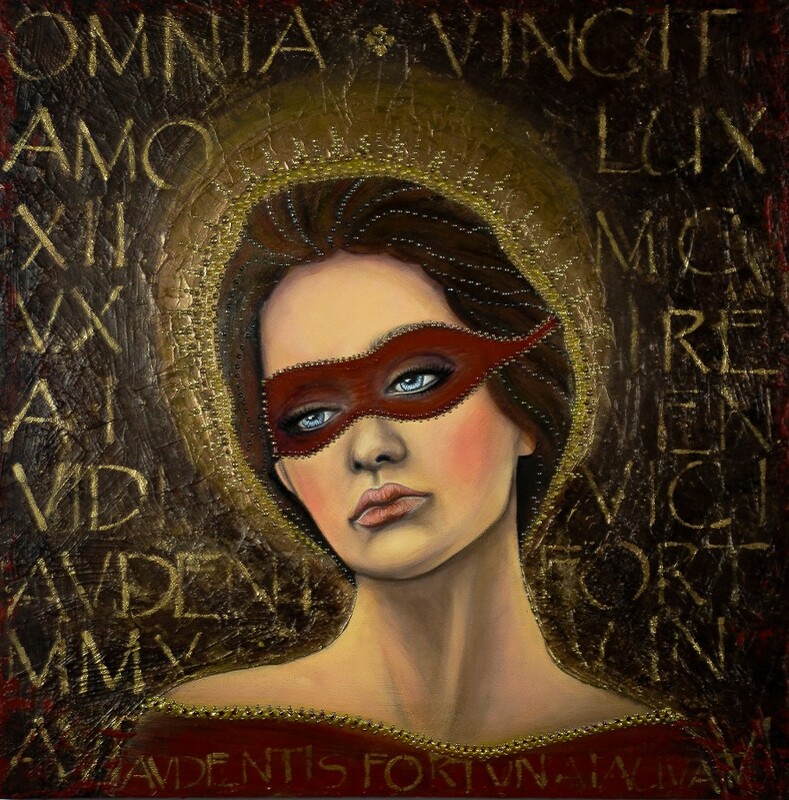 "Audentis Fortuna Iuvat" (Fortune Favors the Brave) by Deborah Bowe Deborah Bowe creates artwork in multiple mediums, including clay sculptures and paintings. Floral stills, landscapes, and portraits. Mostly done in oil with a painting knife. Lena works in a variety of mediums as well as methods. Although she has experience in printmaking, drawing, ceramic hand building, and sculpture, Lena considers herself a painter. "Black Beauty of Ballina Farm" by Caroline Buswell Caroline Buswell is a visual artist specializing in equestrian art, pet portraits, and landscapes. Private instruction available. Twenty-first century Abstract Expressionist acrylic and mixed media paintings. An artist who works in many media, Carol Clay-Ward's love of the natural environment is immediately apparent in her painting, sculptures, pottery, and other work. 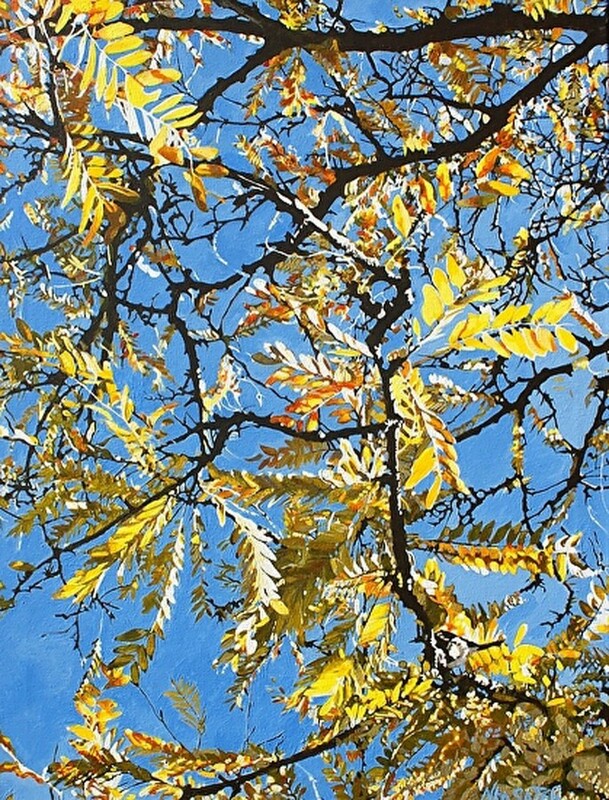 Inspired by the visual color principles discovered by the great impressionists and many contemporary colorists, Cheryl Cochran is driven to create unique works which capture a sense of light and energy in oil paint. Lisa Cohen creates colorful original paintings filled with joy and expressive brushstrokes in acrylic and oil. 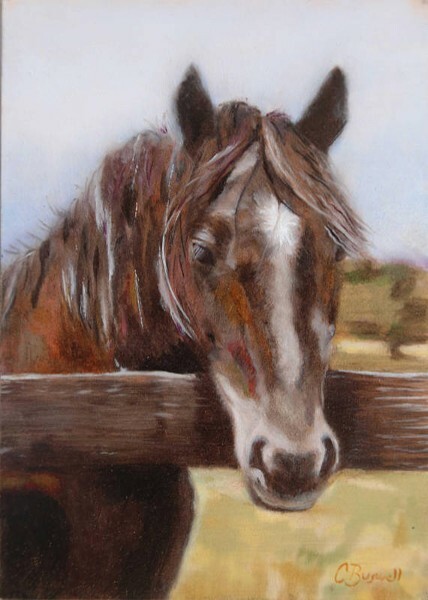 At Sassafras Ridge Studio on Paris Mountain, Patty Craighill paints equine subjects including fox hunting, steeplechase and racing, as well as landscapes, townscapes, and figures. She paints in watercolor and oil, and draws in pencil and charcoal. Instruction is available in watercolor or drawing in group or individual settings. Paravi pratices many forms of art — painting, sketching, sculpture, singing, dance, and musical theatre. Original watercolors and handcrafted home goods. Dawn DeBaere is a visual artist and educator, specializing in watercolor and oil as well as acrylic, murals and creative home/business painting, private lessons. 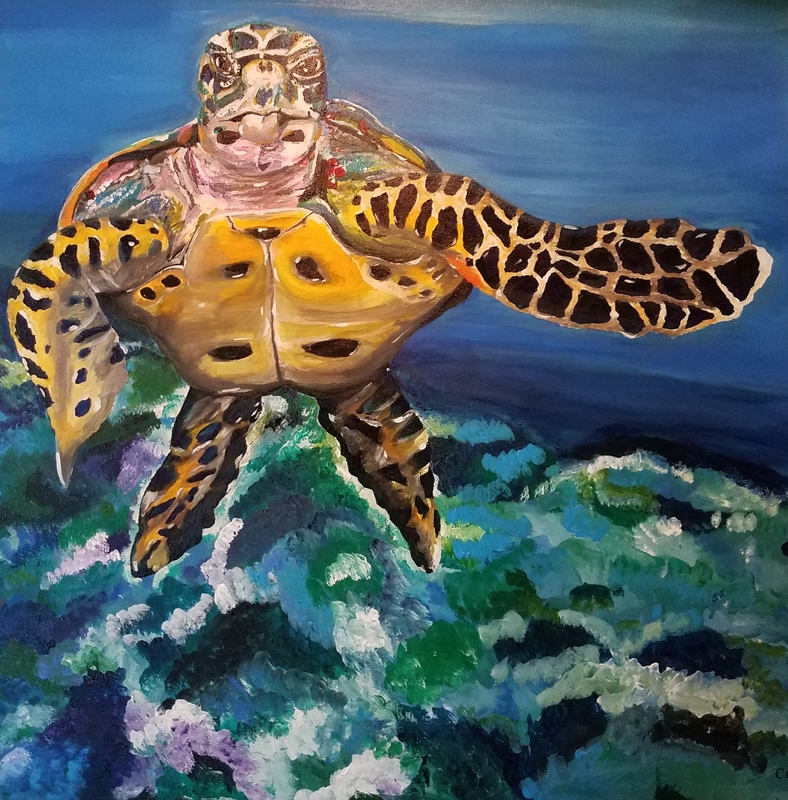 "Netted by Perceptions" by Charlotte B. DeMolay Charlotte B. DeMolay creates energetic paintings of the coast, nature, and people in acrylic, pastel, watercolor, and mixed media. She has participated and received awards in numerous art shows, group exhibits, and juried exhibitions and her work is in many private collections. Laura Edwards trained as a painter at The University of North Carolina in Asheville, the art rich area of western North Carolina. She draws her creative experiences from working not only as a painter, but also as a printmaker. "Bratislava" by Leanne Fink With a style that is both expressive and representational, Leanne creates images that art lovers find unforgettable. 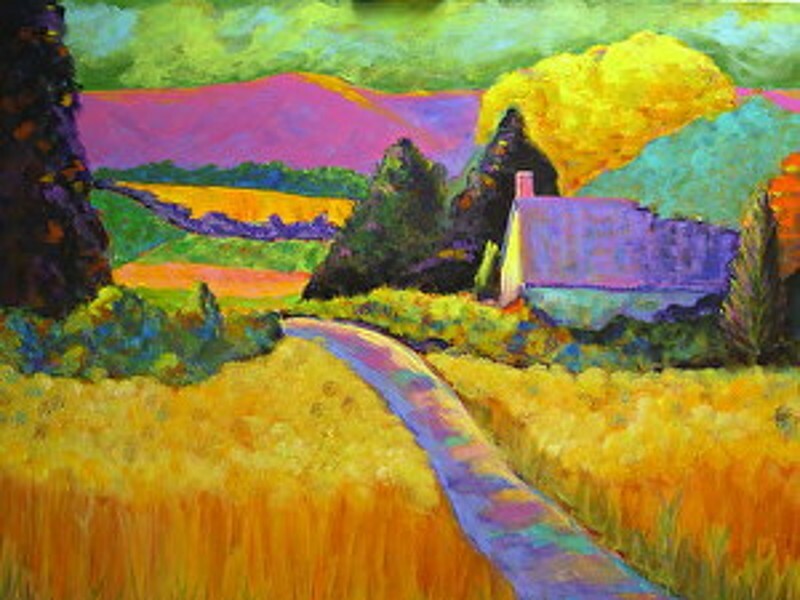 Colorful, uplifting landscapes, still life, portraits and fantasies are brought to life in oil, acrylic and encaustic. Original paintings. Archival reproductions. Private instruction. Workshops. Sarah Florjancic is an abstract and landscape painter working in oil and acrylic paint. Award Winning Abstract Mixed/Media Artist, featuring a combination of bright hues, interiors and collages. Young artist developing mixed media and digital portfolio. 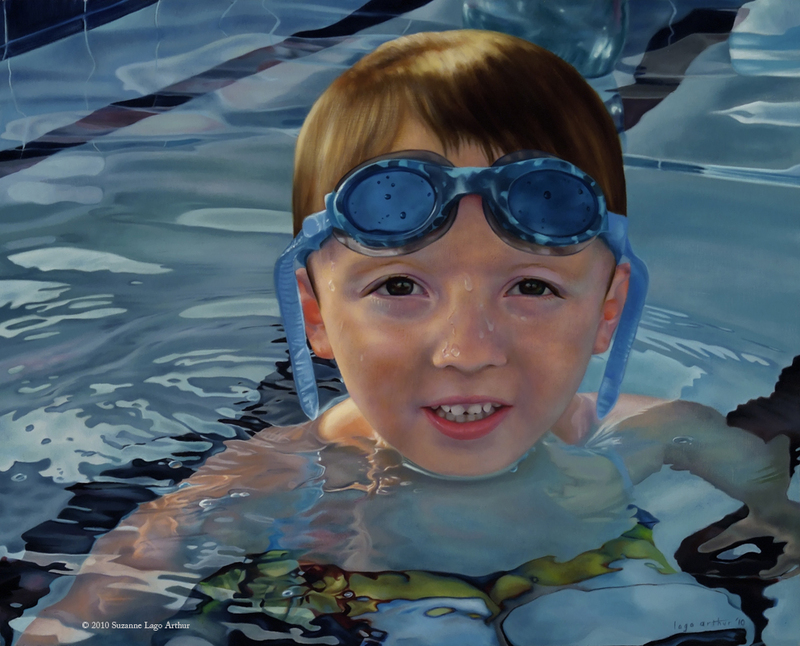 Realistic paintings and drawings in pastel, oil, watercolor. My favorite subjects are from nature: seascapes, landscapes, birds, and animals. I offer private lessons in my new home studio in Leesburg. Garden Corner Studios offers a range of arts and services, from fine art oil paintings to print and website designs to fully interactive web application development. I am a watercolor artist working mostly from my own reference photos taken all over the world. I love painting buildings, landscapes, and foliage. Insightful and enjoyable paintings and other works. Equestrian, sporting, portrait, and landscape fine artist. Individual and workshop instruction available. Artist and gallery data management. Ceramic tile design and mural design, mixed media including photography, painting, and other design media. Paintings, designs, drawings, and murals for all surfaces and purposes — decorative, commemorative, illustrative, informative. Phuong Hoang is a mixed media artist. Abstract work and paintings of horses, alpacas, wine, landscapes and people. Custom human/equestrian portraits and private commissions in any theme/palette. Decorative interior painting and murals. Perspective room renderings for interior designers. Poster design. Ms. Hooe paints large scale pieces (including murals) using acrylics. 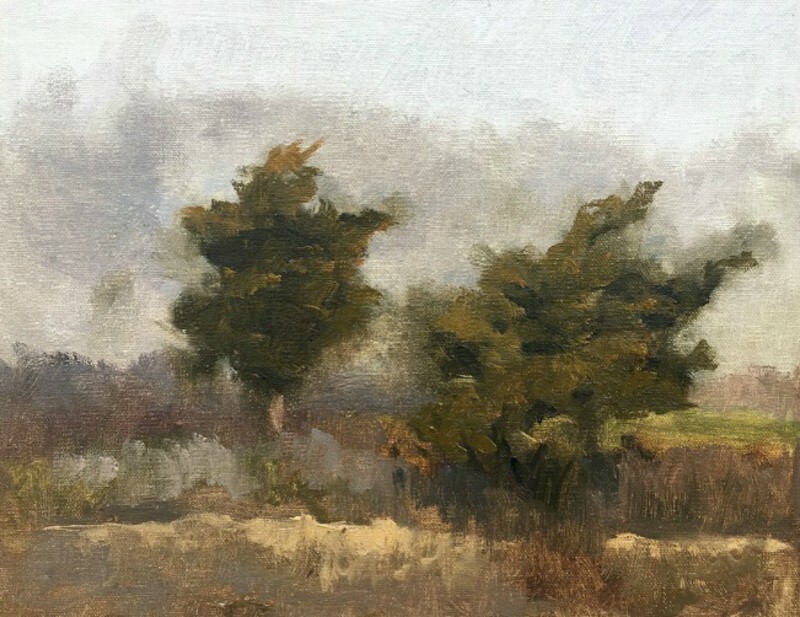 Landscape oil painter working plein air and in the studio. Working in the Tonalist tradition to express the enduring beauty of quiet rural and coastal scenes in the soft atmospheric light of dawn and dusk. Serendipity, by Karen Hutchison Karen Hutchison is a painter and mixed media artist who works in an abstact style. Modernist Impressionist and private classes. 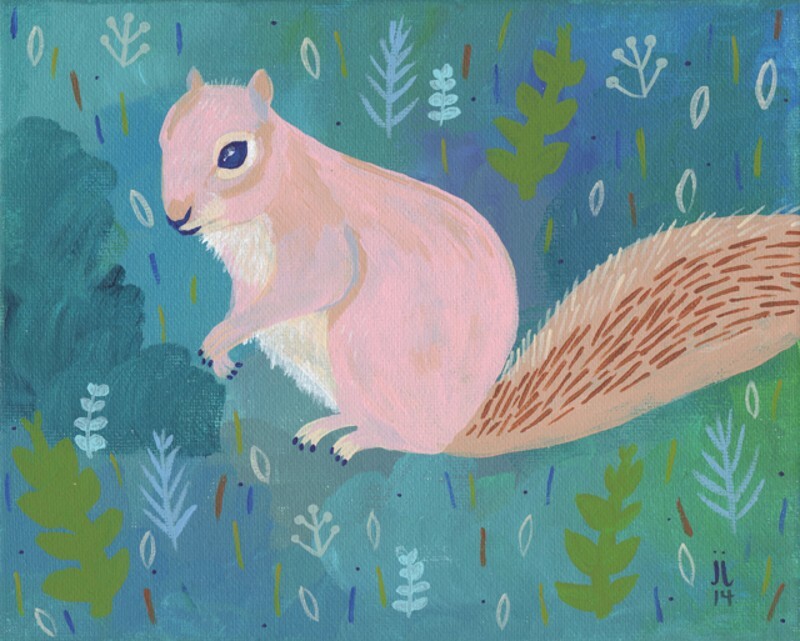 "Pink Squirrel" by June Jewell Fine & graphic artist mostly painting local animals, pet portraits, and colorful abstracts in acrylic & watercolors. Acrylic, pastel, and watercolor artwork. Specializing in animals and people. 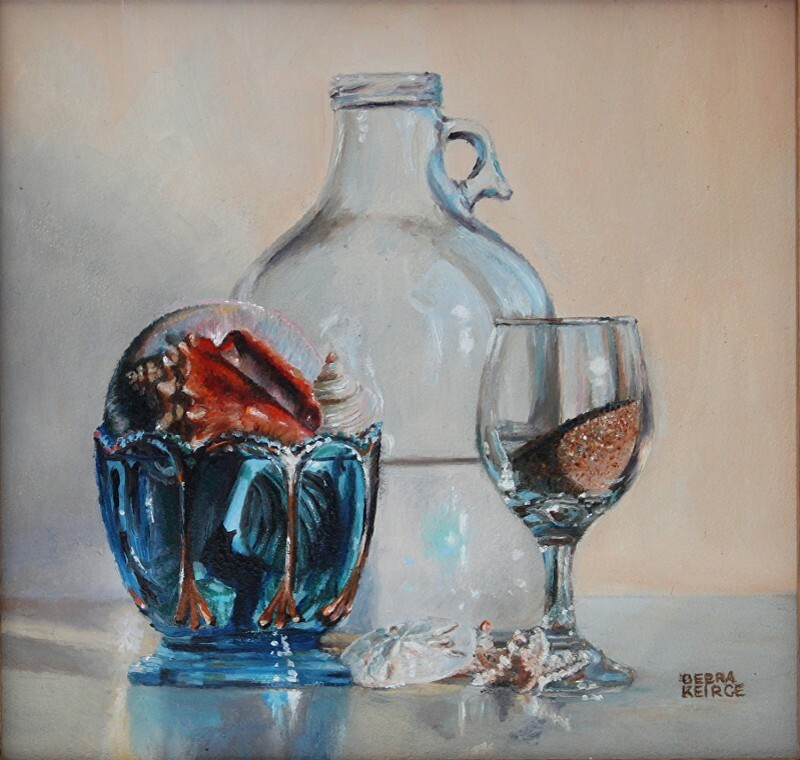 "Vacation Ingredients" - oil - 5" x 5" - by Debra Keirce Debra Keirce is an award winning, highly collected artist. She paints from 2 inches to 2 feet, with a specialization in miniatures, and holds signature memberships in numerous miniature fine art societies. Professional fine oil painting artist and instructor. Classical realism, impressionism, and romantic oil paintings. Master class academic oil painting instruction in very casual setting. Teaching beginners though advanced students. Paintings in oil, acrylic, and mixed media. Whimsical animals and faces, florals and landscapes. Sejung is a student with broad interests in the visual arts. 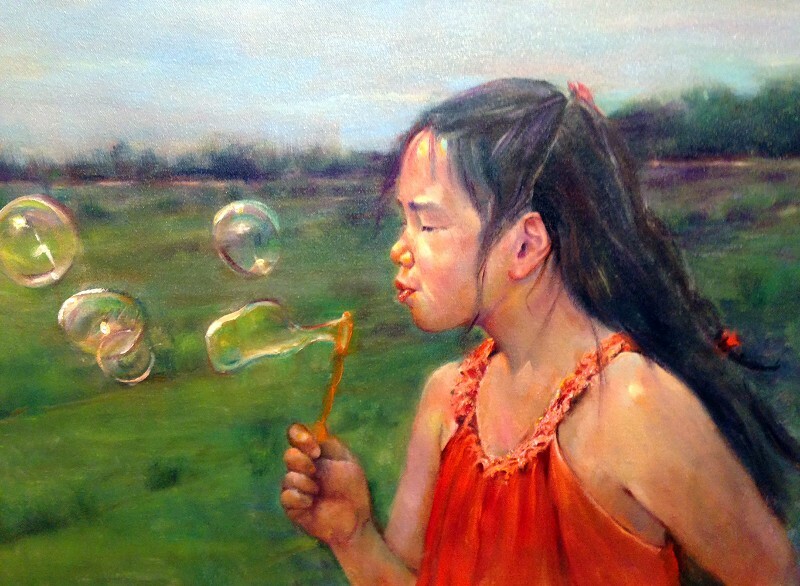 "Bubbles at the Vineyard" by Marcia Klioze Award winning illustrator and figurative painter. Jenny Klug is a Virginia Tech art student, currently working in painting and drawing. 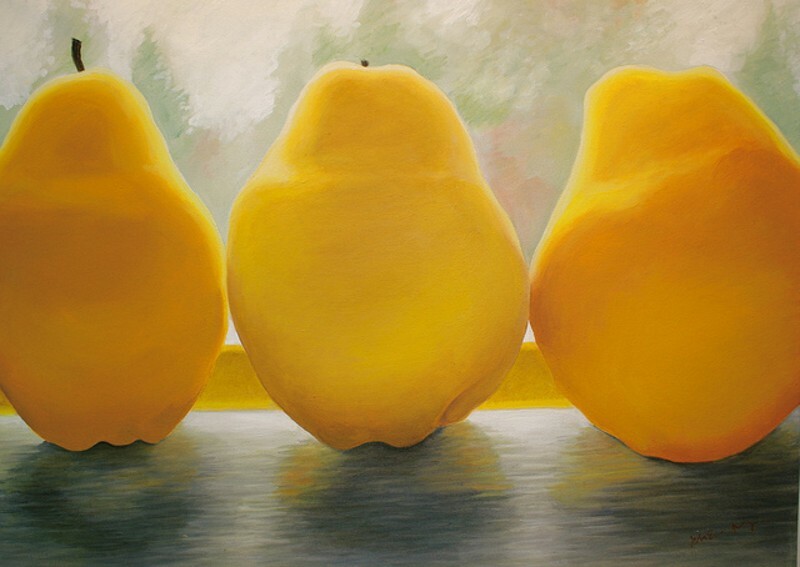 Suzanne Lago-Arthur is a contemporary realist oil painter and arts instructor. Art to beautify your home, office, and person: paintings, photography, mixed media, and polymer clay décor and jewelry. Christy Laneri is a freelance illustrator and artist. She is currently wrapping up a poetry book called Peace in Darkness written by Warren Holston. The collective works feature a variety of styles including collage, ink, watercolor, and acrylic. Kristy Lankford creates custom artwork for engagements, weddings, anniversaries, new babies, and more. "Autumn Bird" by Nancy Lasater Award-winning acrylic painting that’s been described as super-realist impressionism, as well as award-winning pencil and colored pencil drawings. Published novelist. Oil painter since 1964. Gallery director for 5 years in the 1980s at the Art League, Torpedo Factory, Old Town Alexandria, Virginia. Now painting in watercolor and oil. Member: League of Reston Artists. Teaching both oil and watercolor in retirement community where I reside. 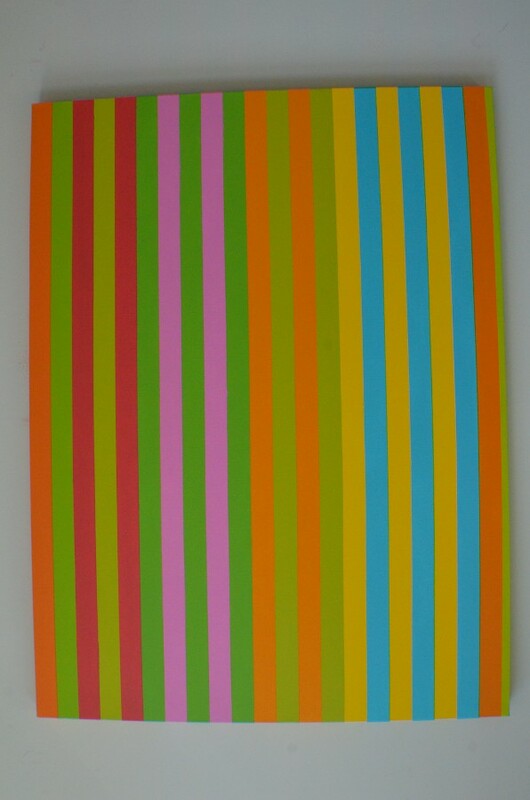 Kay Layne's work is color field abstract expressionist works with flat or textured surfaces. Acrylic impressionistic, realist, and mixed media paintings. Evelyn Lopez de Guzman creates vibrant geometric paintings that come to life via a mixture of color, shapes and intricate forms. Graphic designer / art director — corporate identity (logos and branding), publications (magazines, newspapers and books), print advertisements, posters, billboards, website graphics and elements, signs, and product packaging. "Give Me Fin" by Crystal G. Mills Acrylic paintings capturing the beauty and colors of animals, as well as mixed media works that are unique and interesting. Visual creativity comes to life from canvas to video. Acrylic painting, photography, stop motion animation, and videography. Steve Myles is an oil painter with a background in industry. Impressionistic Realism, portraits, and illustrations. I work mostly with acrylics, gouache, and watercolors. Specializing in unique animal subjects and whimsical children’s art, with a special interest in home and restaurant decor. Painter in oils and acrylics, and an arts instructor. The cornfield by Elise Nicely Elise Nicely creates mostly landscapes and seascapes in mixed media, including watercolor and acrylic paints. Ann Noel is an award-winning artist who works in many media. I am a watercolorist working in traditional and non traditional methods. My work is inspired by the world around me and everyday life, in particular highways and byways. Eileen is an oil painter whose work is impressionistic and expressive. Watercolor artist exploring the the spontaneous experience of the medium, working on intimate-sized and mostly light-hearted works. I enjoy focusing on abstracts, everyday objects and imaginary landscapes. Original oil paintings inspired by nature travels and people, created with pallete knife and brushes by artist and instructor Gail Péan. A full time professional acrylic painter, Jill Perla uses brushes and palette knives with saturated color to create dynamic, lively pieces wholly based on nature, for both commercial and private clients. 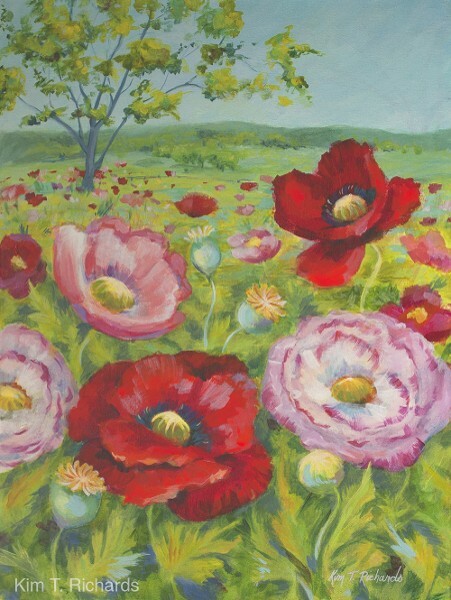 Longtime Loudoun Artist Alice Power creates watercolor paintings — landscapes, seascapes, and flowers. She also teaches and accepts commissions. Susan Pronko paints in watercolors and other mediums. Painter, working primarily in acrylic paints applied to canvas surfaces. Kim T. Richards is a Brooklyn born artist, designer, and illustrator now living in beautiful Loudoun County. From a very early age Kim spent a great deal of time drawing, and decided to pursue a career in art and design. Rebeca Roman is a painter and photographer working with abstract imagery. 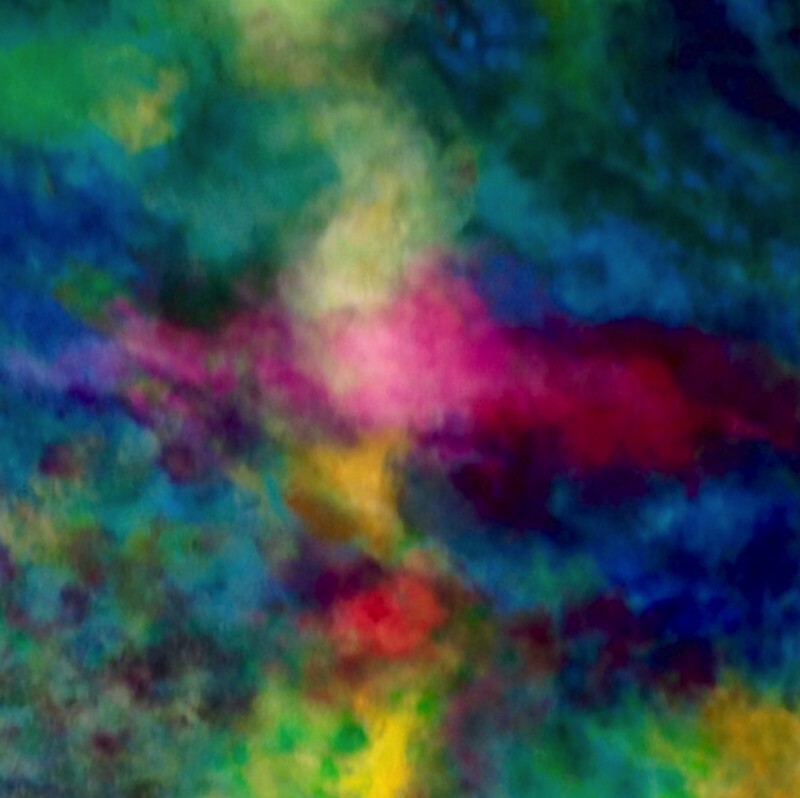 "Linear Equation #1" by Christine Ruksenas-Burton Hues change moods, I transform the atmosphere of a space with original blended color palettes in my Linear Equations. Fine artist in pursuit of daily painting (oils). Working primarily in watercolor, Wendy has been juried into many art shows and has sold to private collectors within the Northern Virginia area. 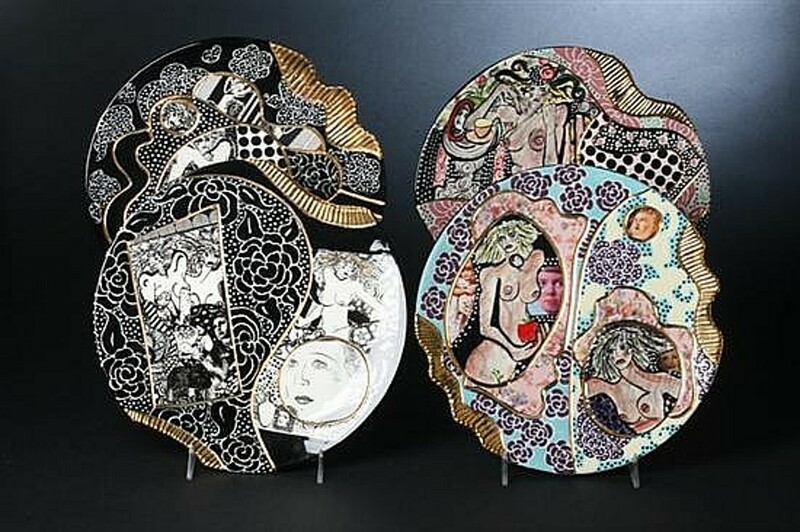 Beverley Sharrard works with acrylic paint, acrylic mediums, hand made and specialty papers, and small sculptures to create unique dimensional wall art. Her intuitive works are created with a love of texture and color and her passion to create. Ms. Simpson is a multi-media painter, who draws inspiration from her life experiences and extensive studies of art history, and who enjoys creating contemporary, colorful work that speaks to the heart of the viewers. Jim Sisley creates arresting images of simple daily experiences that we witness but seldom stop to deeply consider. Representational oil paintings with strong emphasis in color and contrast. Elizabeth Sathis is a lifelong fine artist working in several media. 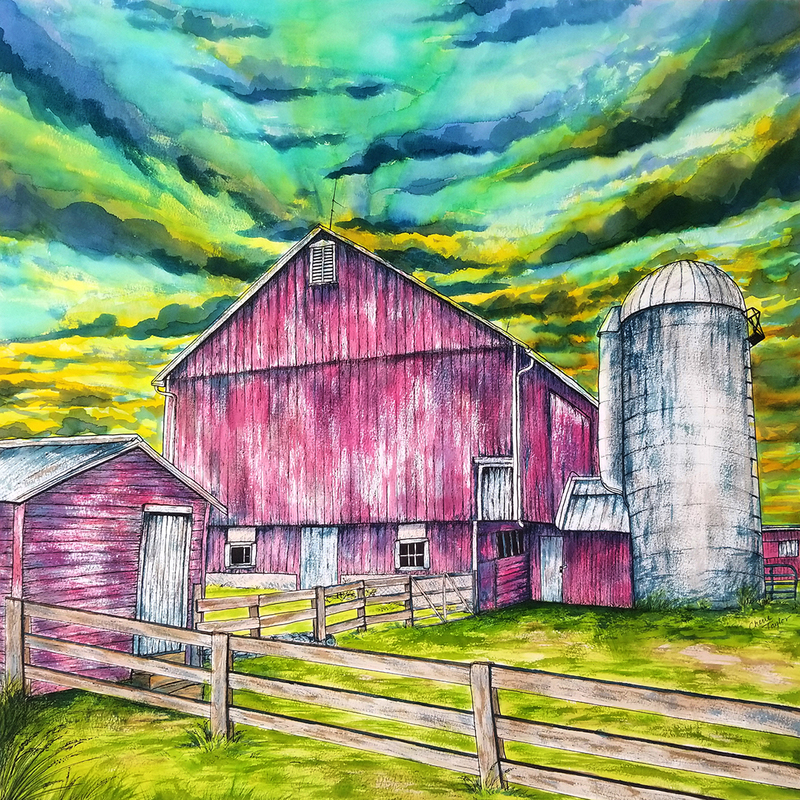 Watercolor artist originally who continues to experiment and expand into other mediums such as encaustic, acrylics, photography, and mixed mediums. Maggie loves all animals, but has an affinity for birds, all raptors, and especially owls. "Fresh Picked" by Libby Stevens Leesburg artist painting in oil and pastel, all subject matter, but specializing in the Loudoun landscape. I maintain a studio in the Leesburg historic district. 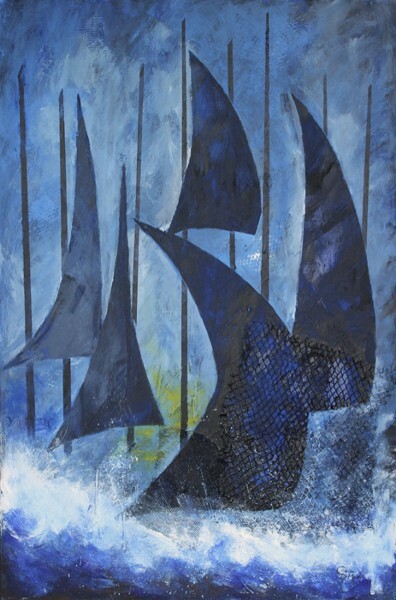 "Weathered The Storm" by Cherie Taylor Cherie Taylor is a fine artist specializing in ink and watercolor drawings. 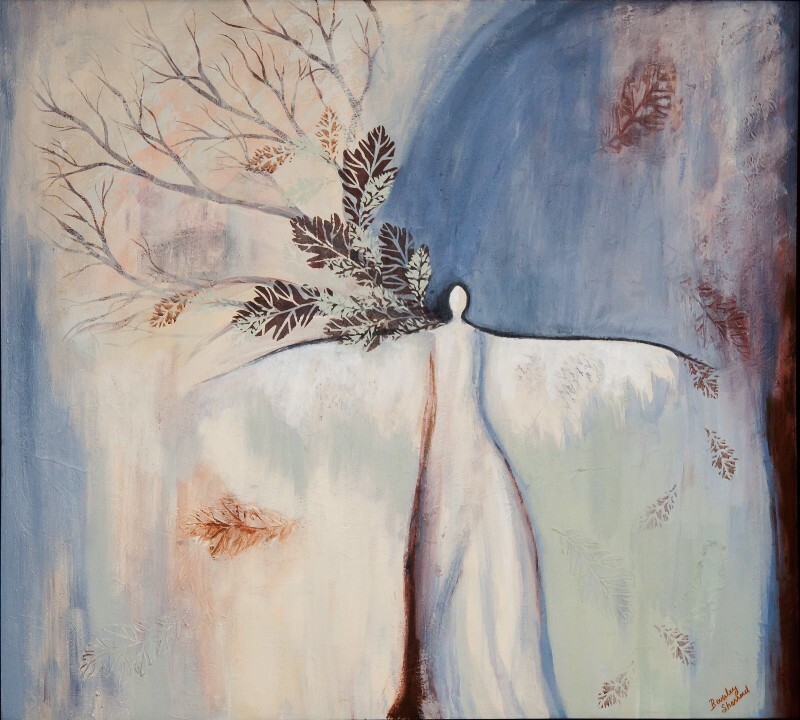 Her work is varied, but usually draws from themes in nature. An award-winning graphic designer, illustrator, painter, and arts instructor, Dana's paintings depict loose representations of organic and inorganic every-day objects next to one another in dramatic compositions. With a background in watercolor, painter Josie Tilton has branched out into colorful expressionistic, mixed media work. Jan Tooke is a painter with nearly 30 years of clinical experience as a physical therapist. His other interests are poetry, cooking, street rods, and motorcycles. Paintings, drawings, sculpture, and mixed media. Photorealistic wildlife and landscape paintings in oil, acrylic, watercolor, and pastels. Abstract painter, life coach, and expressive arts instructor. 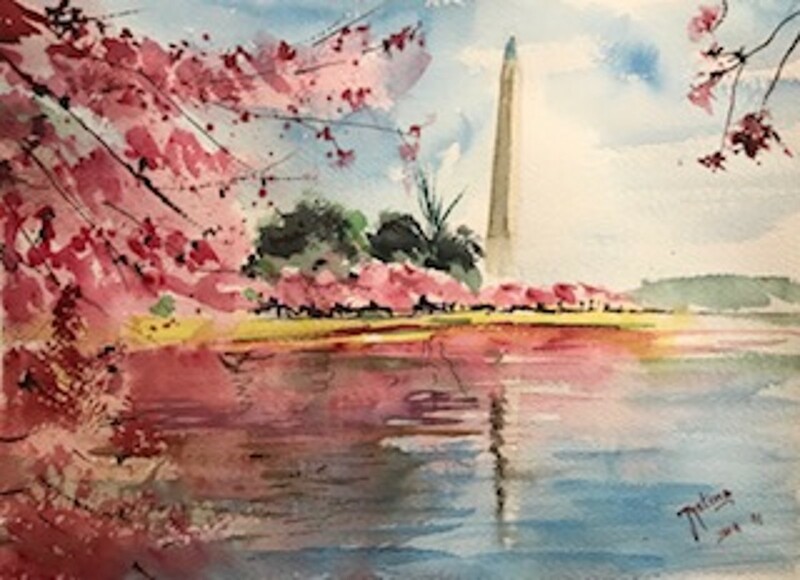 Cherry Blossoms, DC, 11" x 14" Jyotsna Umesh is a watercolor artist and instructor in Chantilly, VA. Her loose impressionistic style will make you love the transparent medium. Karen Watson is a mixed media artist, using primarily acrylic paint on hand-texturized surfaces, and incorporating imagery through collage and image transfer. 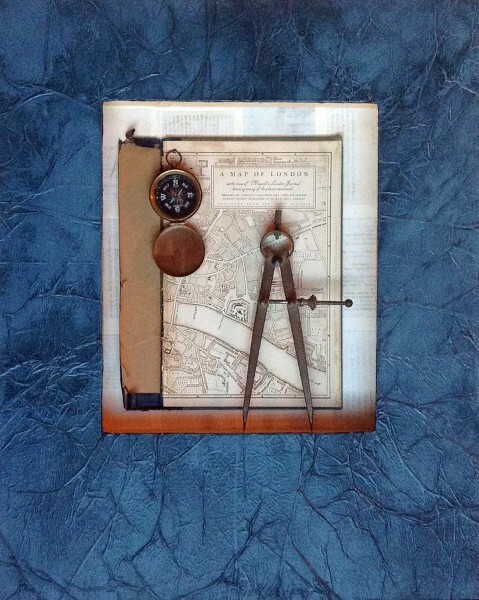 She also incorporates dimensional found objects as a focal point or to help tell a story or create an environment. Extensive pursuit of art for the past 30 years studying with excellent artists most recently with portrait artist Jonathan Linton. Artist and teacher Jessica Wilson offers lessons in the art of seeing.